Nestled amongst lush tropical gardens with Rainforest Mountain as a back drop, this intimate boutique resort caters to discerning travelers looking for their own piece of paradise. Located on the southern end of Taveuni Island , its unique deep water frontage allows guests to dive, snorkel and swim right from the lava flow edge into the pristine warm tropical waters of the Vuna Reef. Known for its wonderful food, luxurious Fijian bures, and genuine hospitality, Paradise Taveuni is truly a tropical island paradise. All bures are located only a stones throw from the oceanfront cliff edge and feature indoor and outdoor showers, a King-size bed in the private bedroom and spacious lounge room. Cool tiles are throughout the bure and you will find high arching thatched roofs and 2 ceilings fans. All meals and airport transfers are included in the rate. 4 Tropical Bures - Sleeps 2 to 3 adults or 2 adults and 2 children. 6 Oceanfront Bures – Features a Jacuzzi. Sleeps 2 to 3 adults or 2 adults and 2 children. Oceanfront Reef Room – This room is perfect for single travelers or couples. Sleeps up to 2 people. With over 40 dive sites accessible from Paradise, you will find something for every type of diver – from beginner to advanced. Their shore dives, directly off the Paradise oceanfront, are spectacular. Shore diving is FREE at Paradise when you take any Pro Dive Package. This is the reef located right in front of Paradise. In one direction, it is a labyrinth of lava flow covered in stunning hard and soft corals, swarming in tropical reef species, shallow and bright – a photographers dream! In the other is a fantastic training site with a variety of terrain to make the most of your learning experience. We utilise this site for our night diving and you can snorkel it any time during your stay. All our local species are represented here and the colours are stunning. A secluded and protected bay and just a 2 minute boat ride north of Paradise Taveuni resort. Located just a bay over, this drift dive is on the island wall. Resident Eels and lionfish make this a popular dive. Large fish like snapper and trevally make regular appearances. This pristine southern reef of Taveuni is only a 4 minute boat ride from Paradise Taveuni resort. No other dive operators dive these amazing dive sites. Many of the sites are comparable to the famous Rainbow Reef. They dive Vuna Reef on request and usually every second day. Other days are spent at Rainbow Reef. If you choose to experience a double dive on Vuna Reef, you will enjoy your surface interval back at the resort. Drift along this section of Vuna Reef and enjoy a fabulous vista of soft corals. Keep a watch in the blue for the namesakes of this site – large yellow fin tuna that speed gracefully past in the company of other pelagic fish and turtles. A 20 minute boat ride from Paradise Taveuni resort. 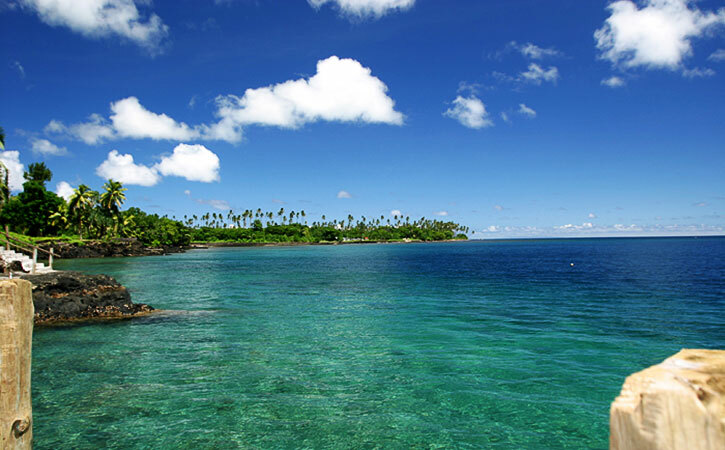 It is in the Somosomo Strait located between the 2 islands of Taveuni and Vanua Levu. It is considered one of the most famous dive sites in the South Pacific. The Great White Wall is a popular scuba diving site. It is named because of the white coral inhabiting the area between 15 and 65 meters. The Paradise Dive Shop displays information on tides, conditions and dives chosen for the day and the next day. Please don’t hesitate to suggest a dive site to visit. Their Dive Team will happy to oblige if conditions are right. Their friendly & experienced Dive Crew will be happy to offer you further information on diving in Paradise! Ask us about our current specials at Paradise Taveuni!